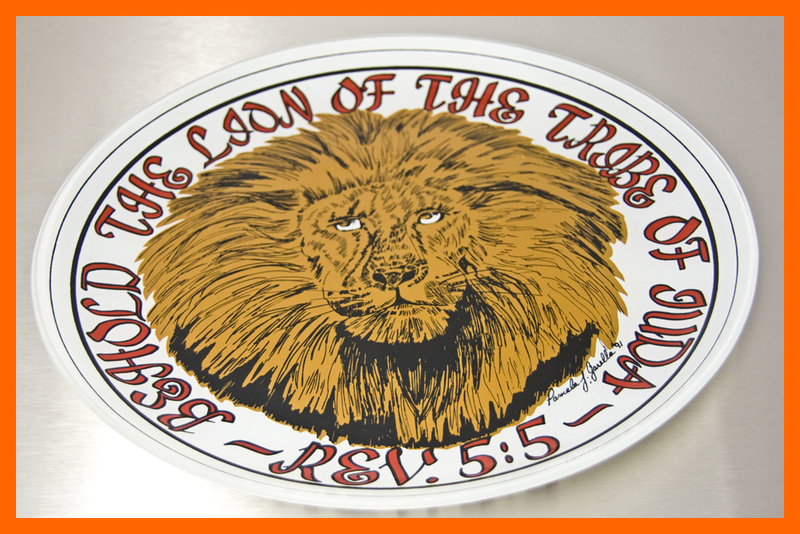 These 3/16" thick, 13" round religious glass plates are great to collect and display. They also add decoration to your serving needs. 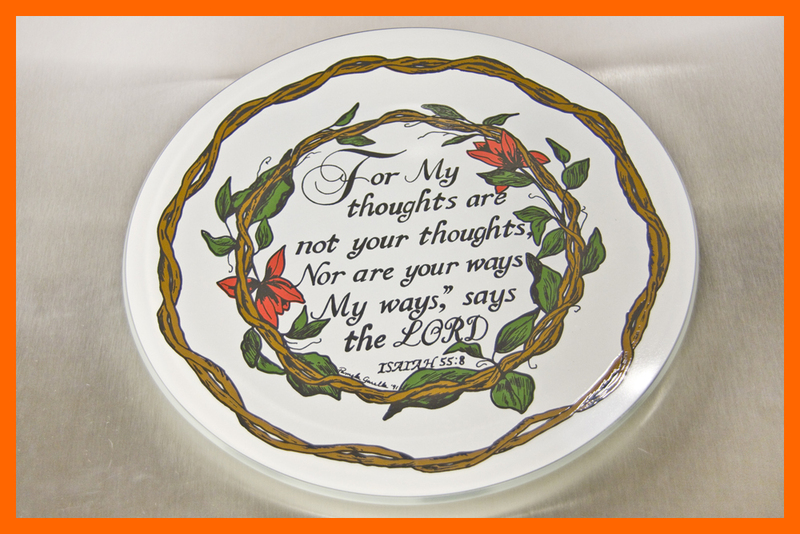 Cookies, desserts, meat & cheese, buns, etc...will look very nice on these plates. 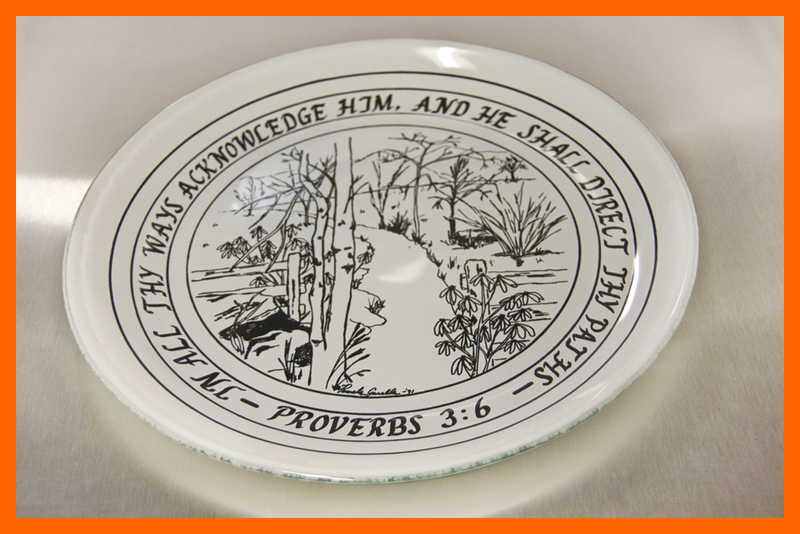 These plates have dishwasher safe colors.